Why do I forget to include faith in my life? It is not that I forget really. But I seem to take a minute here and a minute there and not really consider it on a daily basis. Life gets busy and in the rush I let things slide. Meditation is something I need to make time for and going to my yoga class is a large part of my faith time. So the weeks that I miss class it is almost like I don’t feel I have time for it. Which means there will appear occasions when you need it, desperately, until you begin to incorporate it. I cry at overtures. I cry in church. Perhaps for similar reasons. The power of emotion overwhelms me at such moments. For overtures it is because I know well the blood sweat and tears of creating a production. I know the late hours, the exhaustion and the emotional turmoil of creating a character and, ultimately, a show. In church it is a more powerful thing. It is because I long for that connection with every fiber of my being. 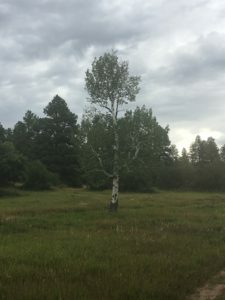 I am overwhelmed by the joy and the bittersweet yearning I have to connect with God, faith, peace on a daily basis. A month ago I went to hear Danielle LePorte speak. This is interesting because I went to Agape International to hear her and the last time I was there( to hear Michael Beckwith ) I think it was still a Science of Mind church–which if you have read this post you know I was raised in that church. There was a separation in that church years ago which I don’t fully understand, but the teachings of Ernest Holmes and Bill Hornaday are the teachings I follow. I had read some of Danielle’s work and I had explored her website and it seemed she had made a great business out of her faith and sharing it, but I wasn’t sure she was the real deal. I loved the evening. I loved hearing her speak because she shoots from the hip. Danielle is about peeling away the things that stand between you and God(something Holmes spoke and wrote about) and which I completely believe in. As I write this I am sitting in my backyard. We are blessed where we live as it is out in nature. 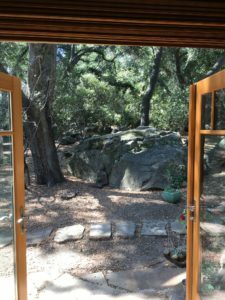 We live in mountains with oak trees and giant boulders and neighbors we know and speak to. I have flowers and zucchini big enough to use as a baseball bat. I plan on writing more about my faith and my incorporation of it into my life to help keep me on track. Hope it helps you too. If you read my blog back in 09/10 there is much about faith if you want to know more about my foundation in faith.